You’re probably wondering, if you’ve seen them already – how did all the players that you’re facing in MyPark manage to get to 99 overall rating so soon? Well, we’re here to share with you a quick guide on how to do it to ASAP if you have some free time on your hand: how to get 99 player rating in My Player in NBA 2K16 My Career mode. It’s easy, but unfortunately not so fun! But enough talking – let’s get this guide started. 1. Play every game with your player, but set the game speed to 100. I recommend you to play it on the easiest game mode, because you will focus on improving your player first. 2. Start the game and foul out as fast as possible. In other words, go for intentional fouls ASAP and you should be fouled out in the first or early second quarter. Then quickly skip through the game and the cutscenes, then hit advance to go to the main menu. 3. Now comes the important part: after every match, you will get a day off. Always use that to do the Live Practice. You don’t have to actually complete the practice either (if you do, you will get a temporary boost of skills, but you don’t need that as you’re fouling out of the games anyways) – so just start the practice and quit it – you will still get the bonus. 4. Repeat over and over again and in several hours (yup – told you it was going to be boring!) 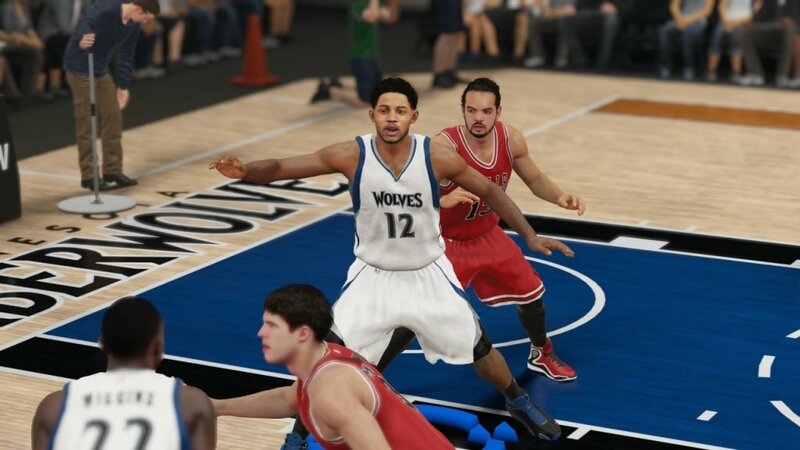 you’ll have a maxed out, 99 ratings MyPlayer in NBA 2K16. Have in mind that you have to do this exactly as described above, minus the game speed 100 thing – but that helps for your sanity and going through everything faster. If you simply sim the game, you will LOSE the day off, so you won’t be able to take care of your player. Simply do as I told you and ignore everything else, turn your player into a star and then rule the court with your beast!